MailBigFile Top 5 Of The Week. Posted March 2nd, 2012 by Karl & filed under MailBigFile, MailBigFile News. Once again we find ourselves at the end of the week and it’s time to reveal our Top 5. 1. Hot Offer – Upgrade from Pro To Business For £75! 2. Service Update – Further Improvements to the Pro Service. 3. Pro App Update – Resume Upload Method Takes a Step in the Right Direction. 4. Service Update – Text Changes on the Site. 5. Dessol Relations – Railway Spice 1 – 0 MBF Customer Service. Hot Offer – Upgrade from Pro To Business For £75! Recently we released a new initiative for our Pro Account customers. As a reward for their ongoing support and loyalty to our franchise, we’re offering the Business Account to Pro Customers for the discounted price of £75 per annum. To find out more about the Business Account and to take advantage of this limited offer, please click here. Please note this offer is only available to first time Pro Customers and has a limited life span. The offer will expire by the 8th March 17:00pm UTC. So hurry! For anyone that has been actively following the Top 5 lists for the last few months, you would have noticed several instances of service updates and improvements along the way. This is because we are currently in the process of migrating our servers over to what we believe to be an even more stable and efficient service. This week, we have been doing more of the same and are still in the process of moving sections of the service to the new servers. We hope and would expect that along the way, you should start to see some performance improvements to the service and, this week in particular, these improvements have been in tandem with the Pro Service. Our Adobe Air programmer has been continuing his work on the Adobe Air Pro App. He has now got the resume upload feature to work alongside the web server in his own testing, taking the app one step closer to be able to use this feature properly. Additionally, if an upload does fail, the program will automatically attempt to resume the file. However, should this resume fail on numerous occasions, the file will be left on “pause” allowing the front user to try the file again at another point, or perhaps allowing them to determine the nature of the problem before trying to finish the upload. It’s come to our attention that some of the text on some sections of the website haven’t been fully updated alongside the changes we’ve been making recently, leading to creating some misleading reading for some! As such, in the coming days we’ll be trawling through all of our pages to ensure that everything is up to spec. My colleagues have been calling for me to make this post so, here it is. 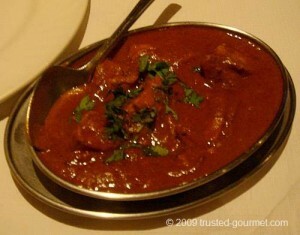 During a team dinner last night, I was encouraged to buy a Vindaloo to see who would be the victor in this battle. However, I am not one for spices. Needless to say, the victor is not the writer of the article. I have never had a Vindaloo before and am unsure if I ever will do again, at least for the fact that you have a much smaller meal due to physically being unable to finish it. Due to my inability to eat the Vindaloo, the Dessol and MailBigFile team have reckoned this is evidence of me letting the team down. You could say then that this is my open letter of ‘regret’. On a side note, it was really very hot and no Fat Les, we don’t all like Vindaloo.